With the recent—and unexplainable—trend of “cat cafés” there seems to be a rise in these concept-driven (value-added?) ways to get people into a shop to sip coffee. 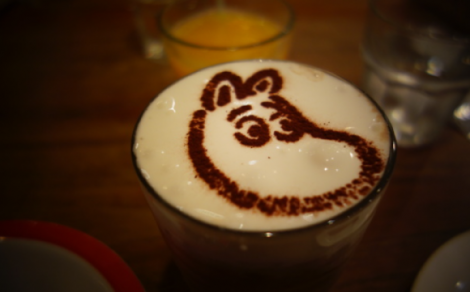 While I think a cat café sounds like an incredibly awful and hair-filled experience, I would happily sit at a table with a large stuffed Moomin and enjoy a delicious cup—something that you can actually do in Japan. 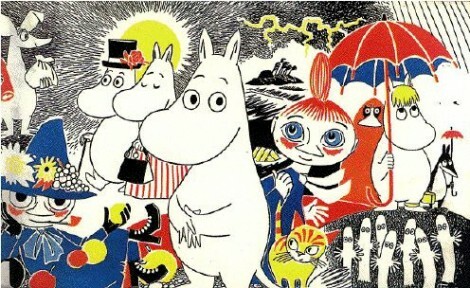 If you haven’t heard of the Moomins, they are a family of hippo-esque creatures who live in Mumindalen and go on great adventures. They are the central characters in a collection of books, comics and cartoons from the Swedish-speaking Finnish illustrator, Tove Jansson—and they are simply fantastic. 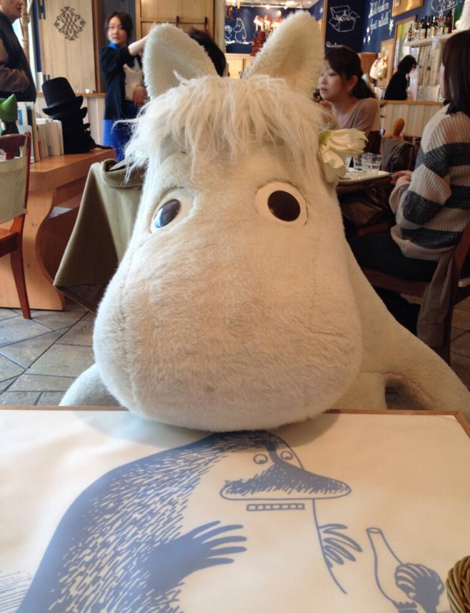 The Moomin Bakery and Café is located at Tokyo Dome City, an entertainment complex in the Bunkyo neighborhood. 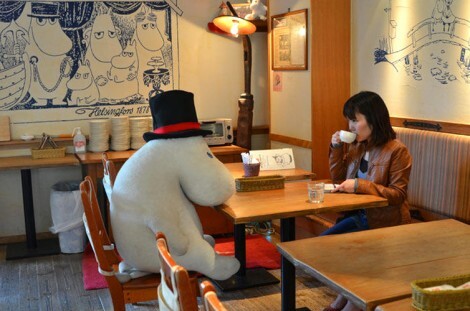 The bakery offers Finnish-style bread and lots of other food shaped like Moomin Characters to create a Finland themed café in the heart of Japan. While I can’t speak to the coffee quality, but does it really matter when you’re sharing a table with a giant Moomintroll?